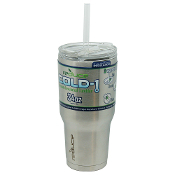 Keep food and beverages fresh and colder for hours with our chilled food and beverage servers. 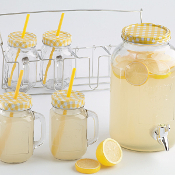 Never have to worry about appetizers sitting out or constantly running back to the fridge to replenish a glass of your favorite iced beverage. Choose from a variety of chilled servers to fit your needs. 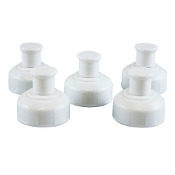 Buy fondue sets of various sizes and colors. 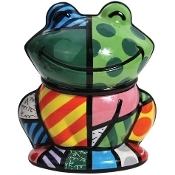 Find colorful ceramic bowl fondue sets or deluxe stainless steel fondue sets. 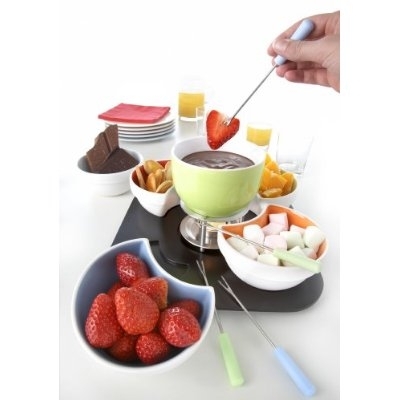 Serve your party guests the best chocolate fondue they could ever find. Have a festive fondue party with some of our Orka fondue sets. 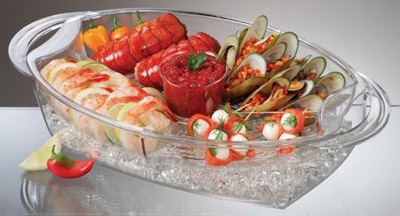 Find all kinds of serving trays, bowls, platters and more. 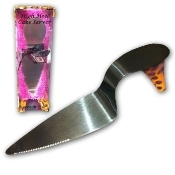 All the serve ware you will need is right here. Buy small bowl sets perfect to store and serve leftovers. 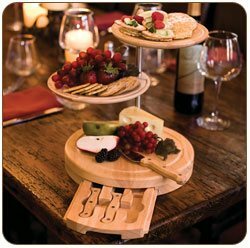 We have serving bowls and platters all designed to make hosting a party fun and enjoyable without the worry of serving guests. 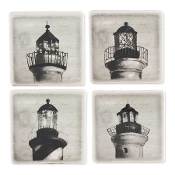 These lighthouse drink coasters from K&K Interiors are the best addition to a seaside themed home. All lighthouses are unique, so bring a bit of that unique style into your home. 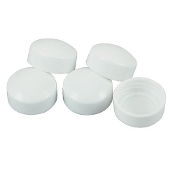 Replacement parts for the Chill out and About 6 piece, 8 piece and 14 piece sets. 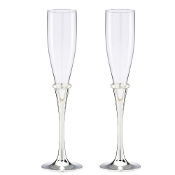 Champagne, often reserved for special occasions, deserves flutes that are equally special. These Devotion flutes fit the bill, with their slender stems, graceful bowls and sparkling crystal accents. 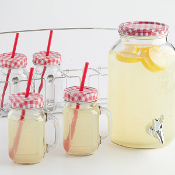 Tired of going back to fill your beer stein every hour? Get this oversized beer stein from Giftcraft! Fill up these large shot glasses and have an awesome night with these mermaid tail shot glasses from Giftcraft Just fill, chill and go. 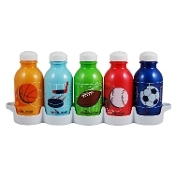 Patented design makes it easy for you to maintain the convenience of having a pre-chilled ready to go bottle and gives you an alternative to the wasteful, expensive and sometimes chemically unsafe plastic in traditional bulk bottled water. A good single-serve option at a low price point, the Reduce Vacuum Food Jar offers good value and an ethical purchase that's functional, too. 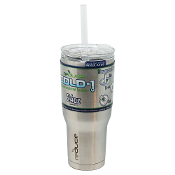 The COLD-1 Vacuum Insulated straw tumbler keeps your beverages cold for hours. 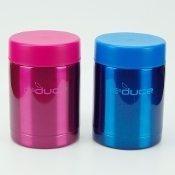 This extra large tumbler is sweat proof and designed to keep its contents cold for up to 24 hours! 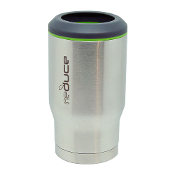 A good single-serve option at a low price point, the Reduce Vacuum Food Jar offers good value and an ethical purchase that's functional, too This stainless steel pint glass is great for cold beverages. 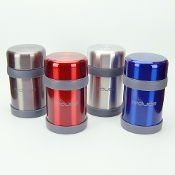 Flavor shield technology insures that there is no metallic taste and that the pint glass will not retain any flavors from its contents. Just fill, chill and go. Patented design makes it easy for you to maintain the convenience of having a pre-chilled ready to go bottle and gives you an alternative to the wasteful, expensive and sometimes chemically unsafe plastic in traditional bulk bottled water. 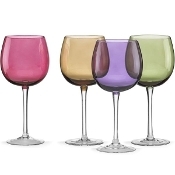 The crystal Lenox Tuscany Harvest Balloon Wine Glasses will make an exciting display of color on your table and guests will easily identify their glass. 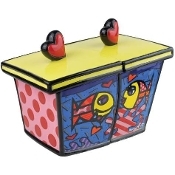 They are also great for gift giving and entertaining.